Origin Access Premier is going to be a new, higher tier of subscription to EA’s service. It’s going to cost significantly more than the current, soon-to-be-called basic plan. On the other hand, it does offer some pretty decent perks, such as discounts and unlimited access to EA games five days before launch. EA have announced the launch date and price of their upcoming Premier Subscription tier for Origin Access. It, will be, according to them, “a new membership tier that gives you access to the latest and greatest EA games before anyone else. You get access to the full game – yours to play whenever you want, for as long as you’re a Premier member.” Your current membership will from then on be known as Basic, and you’ll get to enjoy all of the benefits you already have, if you already own an Origin Access subscription. 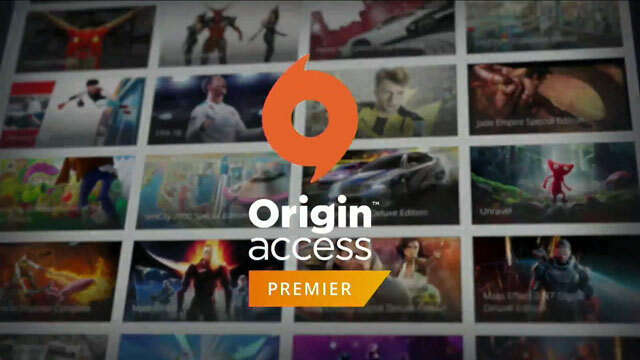 Origin Access Premier will roll out on July 30th, and it will cost you $15 a month, or a whole $100 for a yearly subscription. As a frame of reference, the current, aka Basic, model is $5 a month / $30 a year. So, what exactly do you get for your money with Origin Access Premier? It’s not exactly the smallest change. Well, for one, you’ll get “full, unlimited access to our games, starting five days before they launch.” No more limited-time trials and no purchasing the game separately; you get unlimited access as long as you’re a subscriber. On top of that, you’ll also get “10% discount in the Origin Store on full games, pre-orders, expansions, FIFA points, and more.” Last, but not least, you get access to The Vault, aka a library of games that is steadily growing. So, is Origin Access Premier worth the money? Well, I feel that’s really gonna be up to you to decide. You do get some substantial bang for your buck, there’s no doubt about that. I guess the only real question is just how much do you play EA games specifically? Depending on your answer, Origin Access Premier might turn out to be a good investment.